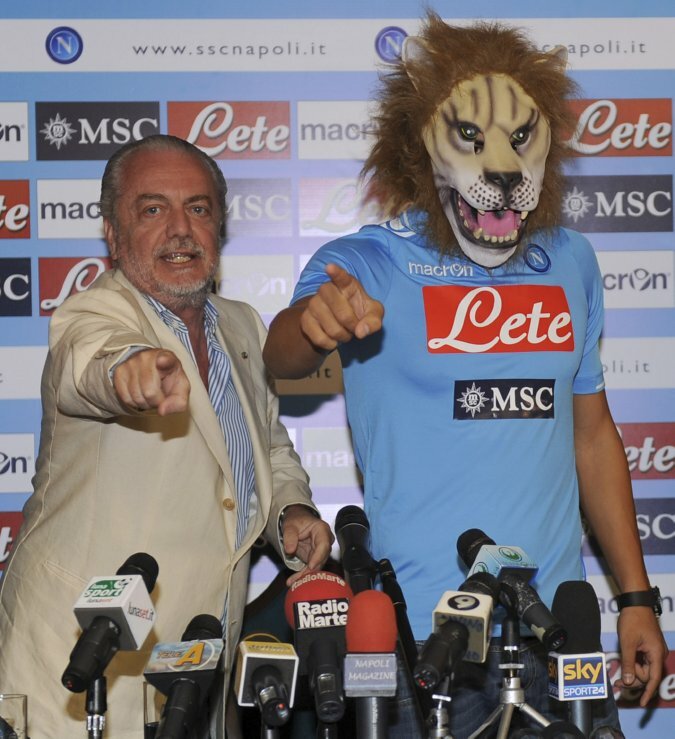 Snapshot: Napoli Present New Signing Gokhan Inler In Rubber Lion Mask! We wonder who’s idea this was? Was it the fairly mild-mannered and unassuming Swiss midfielder? Or was it perhaps the brainchild of the gaudy, eccentric, film producer/club president? I gotta admit, if he would wear that rubber lion mask while on the pitch, it would be pretty cool. Well, it was meant to be the new shirt presentation but…surprise!